Piccadilly Circus garnered its peculiar name from Roger Baker, a tailor famous for making men’s piccadills, the frilled collars fashionable in the 17th century. The word “circus” refers to the circular motion of traffic, which whisks around beneath the statue of the Greek god Anteros. Today, the name represents flashing lights, entertainment and the exuberance of a city on the move. Piccadilly Circus has become a must-see spectacle, which draws locals and tourists day and night. Piccadilly Circus marks the junction of Regent Street, Shaftsbury Avenue, Piccadilly and Haymarket. It also connects major areas, including Trafalgar Square, Soho, Chinatown and Leicester Square. At its center is the statue of a winged archer, Anteros, which rises above Shaftesbury Memorial Fountain. Designed by Alfred Gilbert and erected in 1893, it was the first statue to be cast in aluminum. Today it’s a popular meeting point or simply a great place to watch the passing crowds. From Anteros, choose a direction to suit your mood. Feed your shopping addiction on Regent Street. Take a dramatic turn and catch a show at the Theatre Royal, one of the many venues that makes “the circus” the heart of London’s theater district. Spend an hour or two admiring the landscapes at the nearby Royal Academy of Art, or enjoy a good belly laugh at The Comedy Store, which showcases big-name acts as well newcomers with fresh gags. Piccadilly Circus is also known for its flashy neon signage, but these days, only one building is illuminated. The dizzying atmosphere remains, however, with lively curbside entertainers adding to the commotion. When it all becomes too much, order a beer from one of the surrounding pubs or catch your breath in a cozy café. Piccadilly Circus is located in the heart of London. The nearest Underground station is Piccadilly Circus. If you're after even more activities, take a look at our London things to do page. 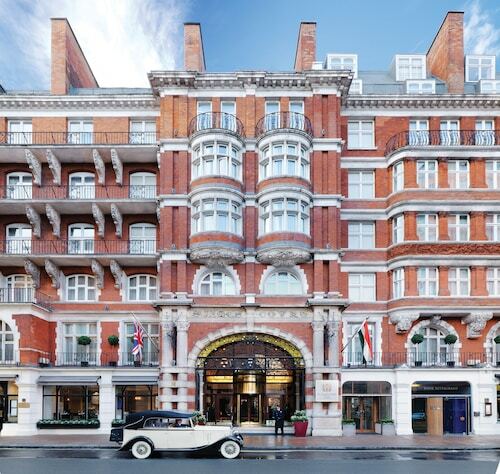 Located in London City Centre, this hotel is within a 5-minute walk of Tottenham Court Road, Oxford Street, and Shaftesbury Avenue. The British Museum and Russell Square are also within 10 minutes. Tottenham Court Road Underground Station is only a 2-minute walk and Goodge Street Underground Station is 5 minutes. 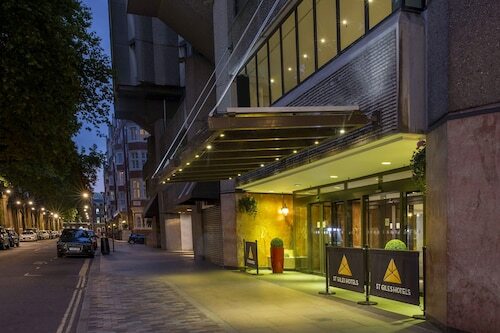 Located in London City Centre, this hotel is steps from Prince of Wales Theatre, Leicester Square, and Piccadilly. Queens Theatre and Regent Street are also within 5 minutes. 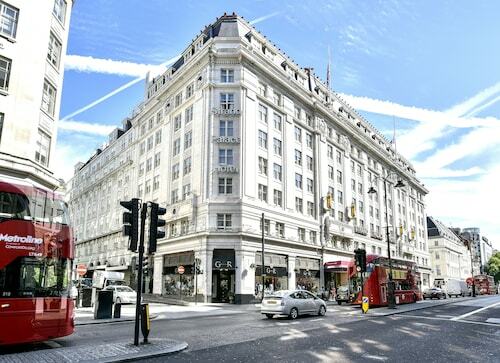 Leicester Square Underground Station and Piccadilly Circus Underground Station are within a 5-minute walk. 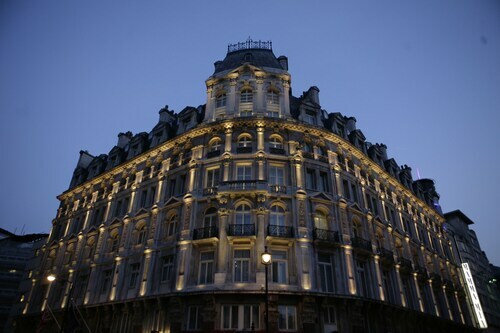 Located on the southwest corner of London's Trafalgar Square, this hotel is across the street from Canada House. Admiralty Arch and Nelson's Column are both 2 blocks from the hotel.